I’ve heard almost incessant raving reviews of this film (I think I heard one person say they didn’t get what all the hubbub was about), but I have some trust issues when it comes to movies. And films like this are pretty much why. I think our culture has become a little too lactose-tolerant in our media diet. Now, I enjoyed this film quite a bit; I think it was one of Marvel’s best. But until we all collectively admit that that’s not saying very much, we will remain the cheese addicts that continue to fund these comical comic-book films and their exploits into Cheeseland. Let’s start with the good- and there was a lot of good to appreciate in this film. When it comes to worldview goodies, this was one of the most message-on-its-sleeve films I’ve seen in a long time, and, contrary to the standard “follow your heart” hogwash, this film had a message worth sending: the dangers of liberty are far sweeter than the chains of security. 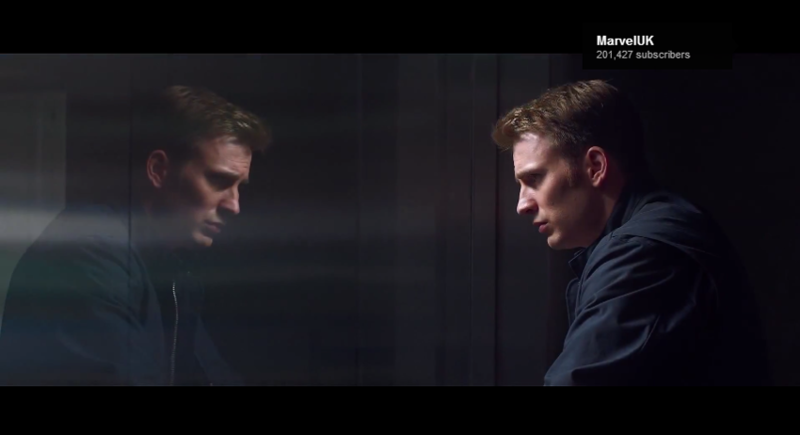 The Captain’s refusal to abandon old-fashioned notions of liberty in the face of the ripped-from-the-headlines police-state methods of SHIELD and the peace-through-power methods of Hydra- and the fact that his stand is portrayed in the film as a good thing- makes this one of the most relevant sermons on liberty in the 21st century that I’ve watched in a loooong time. As usual, Hollywood was able to preach their sermon without taking people out of the story; as not-so-usual, the sermon was a good one! But the moral to this movie was not hidden in cryptic sophisms and symbols in the background; the message was clear, and has never been more relevant to Americans than it is today. For this reason, and even if only for this reason, this film deserves a hearty round of applause from Americans who agree with Benjamin Franklin that those who are willing to give up liberty for security deserve neither. Captain America is my favorite “superhero” because, out of all of the others, he is the one man of strong moral character who does what is right because it is right and cares not what the consequences are. Conversely, he doesn’t pragmatically do bad things to achieve good ends, and he stands in the way of those who try- even if those who try are the “good guys.” Of course, other heroes do these things, to some extent or another, but none of them do it for the same reasons and with the same conviction. The scene where the nerdy computer tech says “I’m not going to launch those ships.” That was awesome. We need more scenes and more films where regular people do not capitulate in the face of adversity. In lots of action movies, the heroes steal cars (and everything else) and cause mass destruction and mayhem in the process, all without any apparent twinge of guilt, and certainly without repercussions. This isn’t heroic conduct. Plenty of it still went on in this film, but a comparatively small amount of it was at the hands of the Captain, who, when he did hijack a car, told Natasha Romanoff to take her feet off the dash because they were borrowing it. And with Steve Rogers, you can tell he actually means it. I’d like to see more of this in modern action films! This film has it. Lots of it, and some of the best I’ve ever seen. As usual with “superhero” movies, there was lots of CGI and plenty of explosions and crashes and yaddayaddayadda. But this film featured more hand-to-hand, intensely choreographed, martial-arts-driven combat scenes than any Marvel film to date, and they were excellent. Better than any I have ever seen before, in any film ever. I’m now inspired to learn how to do a kip-up. Even better, the martial-arts scenes didn’t feel out of place (I’m looking at you, Taken 2), but flowed naturally with the story and in-between exchanges of gunfire. Some of the acting was very good. Nick Fury was much less of a source of corn than in The Avengers; less over-epic, more human and likable. Whether this was a Samuel L. Jackson thing or a scripting and directing thing, I don’t know, but it was a big improvement. The music was very effective; while I didn’t much care for Henry Jackman’s score listening to it on its own, in the context of the film it drove the action very well. I am not a fan of film sequels that switch composers, but I was so, SO happy that at least the main theme from the first film made one very clear statement at the beginning of the film. 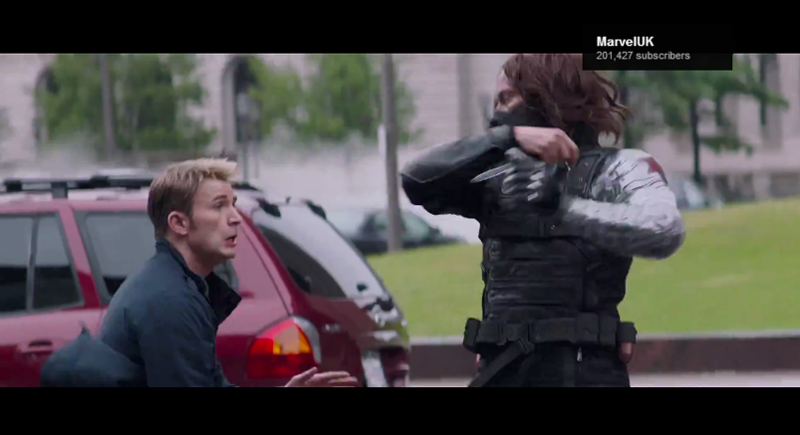 Also, Jackman’s chilling motif for “the Winter Soldier” was perfect. I really, really enjoyed the directors’ style; sweeping, grand, colorful- the film was truly beautiful. The main female characters in the film only retain one aspect of femininity- their sexuality, which is played up and emphasized and used by them for their own advantage. Beyond that, they are judged on their ability to, more or less, act like men. It’s not degrading to say that women and men were created for different purposes. It is degrading to say that the things women were created to do are worth less than the things the men were created to do- and that’s exactly what we see modeled in films like this. If there’s a room full of people being tyrannized over by a group of big tough bad guys, 99 times out of 100 it will be a girl who whips out the gun and the ninja moves, breaks the spine of evil, and coaxes the whimpering men out from behind their desks, gently using her pink camo handkerchief to wipe the tears from their eyes. Seriously, it’s getting rather old, Marvel. We’re raising a generation of guys who no longer see it as their duty and know it as their instinct to step up and protect the innocent. Should women do this too? Of course! But the role of defender is primarily a male role in Scripture (Nehemiah 4:14). It should be normal and expected that if a bad guy needs taken down, any and every man standing in the near vicinity is ready to do the taking down. There is a huge opportunity for Christian storytellers to resurrect this lost idea of manhood and womanhood being two different things. We have to construct an alternative culture. We have to present the beauty of the right way. If all anyone ever knows is the wrong way to do things, we cannot be surprised when that is what their actions- and art- reflect. It’s harder to tell stories that show the power and beauty of a Godly, visionary woman of character- a wife, a mom, a homemaker, an Abigail Adams or Elisabeth Elliot- than it is to clothe an athletic woman in tights, choreograph an intense fight scene, and make audiences say “wow, she’s awesome!” But those are stories that need to be told. American young ladies today need to hear about real women of strength, and look up to them, and realize the power that comes from living in such a way that others will say “wow, her God is awesome!” Our stories must provide that influence. 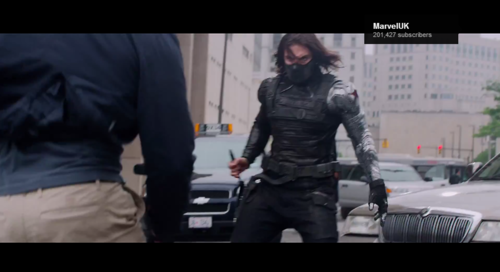 The immodest, skin-tight garb that the women wear is old hat for superhero movies, but The Winter Soldier took it to another level, with a couple of shots slid in which were obviously framed for the sole purpose of drawing attention to the heroine’s body. Reducing her to her shape. This is so degrading to women (not to mention it’s certainly not edifying for men). 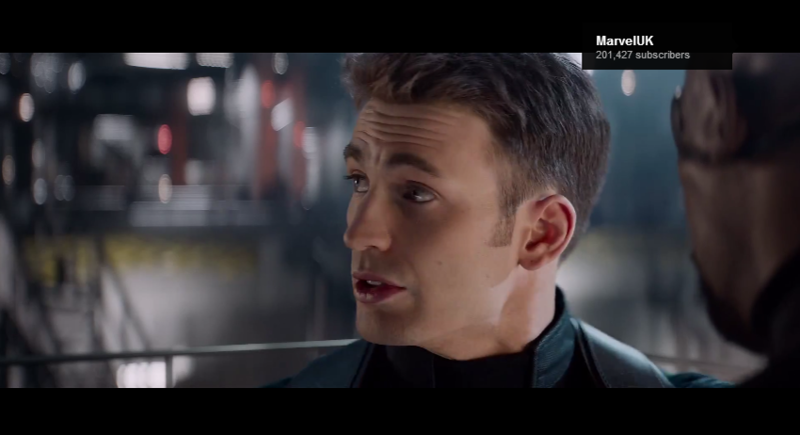 The whole relationship between Natasha and the Captain was a little ambiguous… not sure where they’re going with that. Speaking of comic-films, there is a worldview issue that I would like to hear discussed more when it comes to any and all films of this genre. What, exactly, is communicated by films like this, where “normal people” are passed over in favor of “superheroes”? Are we in some way denying God’s reality? Is this a way to escape from the constraints that The Master Storyteller has put upon us and turn ourselves, for two hours, at least, into Batman, or Superman, or Ironman- someone invincible, all powerful, and amazingly good-looking in Spandex? What are the edifying benefits of having these superhuman heroes, as opposed to telling the stories of real men and women doing real and amazing things for the glory and by the grace of God? It’s a lot more inspiring- and inspiring in a deeper, more soul-changing way- to read about Shackleton’s voyage than to see Superman hold up an oil rig. So are these comic-films fueling a modern-day flight from God’s reality? If the medium is the message, is the medium of fantastical super-films headed in the right or the wrong direction? The feminism that saturated the worldview of the film also damaged its artistic value. The women in this film are a steady source of cheese because they are just. So. AWESUM. Favorite feminicheese moment was when two guys broke down the door on Agent Hill, maybe 30 yards away from where she was, and she didn’t hardly look in their direction, fired off two rounds from her little handgun, and went right on with her business, never breaking a sweat or showing a twinge of emotion on her “I am the coolness” face. If it had been a bad guy making that shot, and two good guys coming into the room, the bad guy could have had two fully-automatic shotguns and a bazooka and he still would have missed. If it had been a more believable actor making that shot as a good guy, he or she would have had a startled reaction, ducked behind cover, and fired until making sure the threat was nullified. Not Agent Hill. She’s too cool for, you know, realism. She’s a machine. 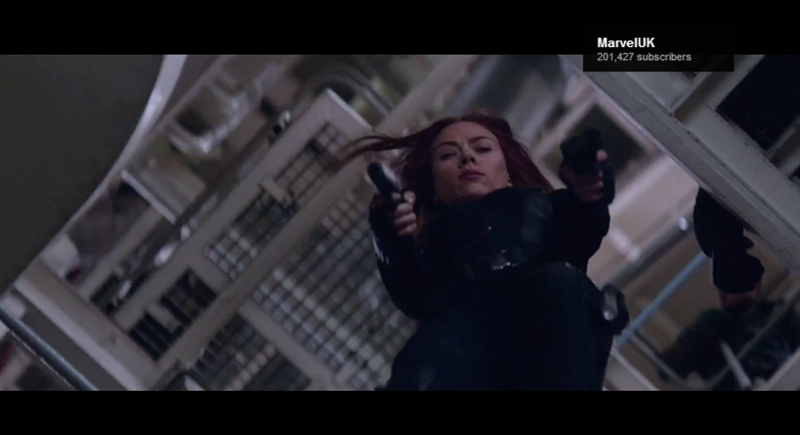 The same is true, of course, of Natasha Romanoff, and even of the blonde girl who, at the end of the film, is shown hitting bullseye after bullseye before we pan up to a shot of her facial expression. Which was also “I am the coolness.” Corn-E. But this is all true of the guys, too, and I’ll get to that in a minute; the bad art here specifically related to feminism is that it’s just not realistic. There’s a reason special forces only take male applicants. Seriously?!? A normal person wouldn’t do that. Therefore, cheese. Cool face-covering mask. That’s epic, except that it apparently serves no purpose (like Bane’s did) except to delay the plot twist for a little while. Normal people don’t wear face masks for no reason. Helmet, yes. Face mask, no. 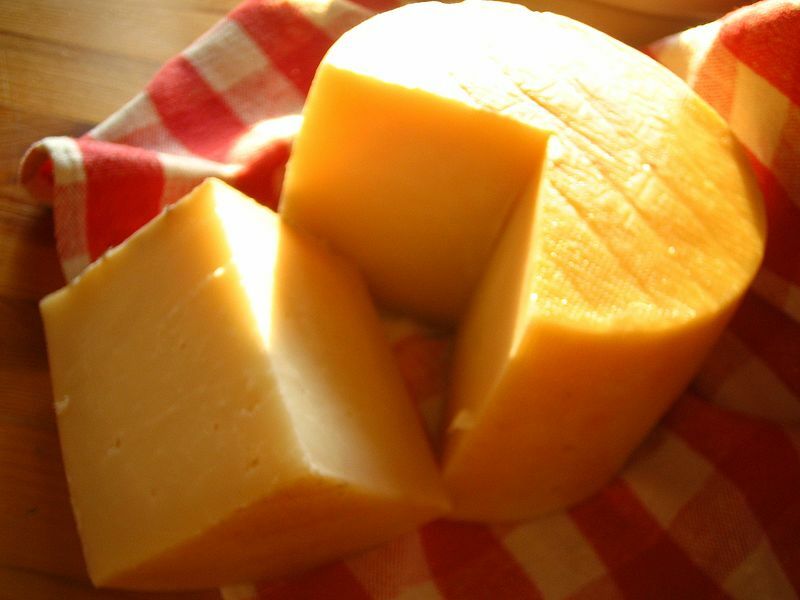 Therefore, cheese. Another issue de la corn was the invincibility of everyone. (Though I’ll grant you that it was far better than Man of Steel.) Falling from buildings, getting shot and stabbed and beaten and going through car wrecks and nobody ever has any long-term negative health problems resulting. Nick Fury even dies and he’s still not dead. For example… Natasha Romanoff disguises herself as a diplomat to go to a meeting. Only problem is… what happened to the actual diplomat? Or how about Nick Fury, who has just been through a car chase involving multiple collisions and an explosion which flipped his car upside-down, but he’s able to use some laser-digging thing to dig through the roof of the car, through the pavement, and make a tunnel into the ground, at a pace so fast that apparently The Winter Cheese figured it wasn’t worth pursuing him (even though Fury would be trapped in there and one hand-grenade dropped down the opening would finish the thing), and without having to actually move any dirt (apparently he vaporized it, or something). Speaking of aged dairy deliciousness, Marvel’s got a big problem on the horizon. They cannot keep up this raising-of-the-stakes forever. In Hulk, a monster in the streets. 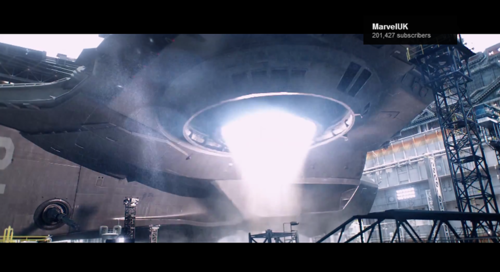 In Thor, an invasion by aliens. Captain America, Hydra’s invincible army. 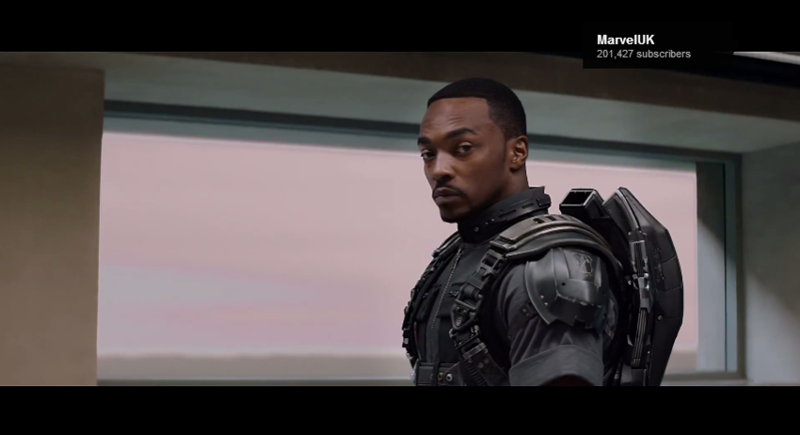 Iron Man– well, they’ve kept those stakes pretty believable, thankfully. The Avengers, more and badder aliens and a helicarrier. 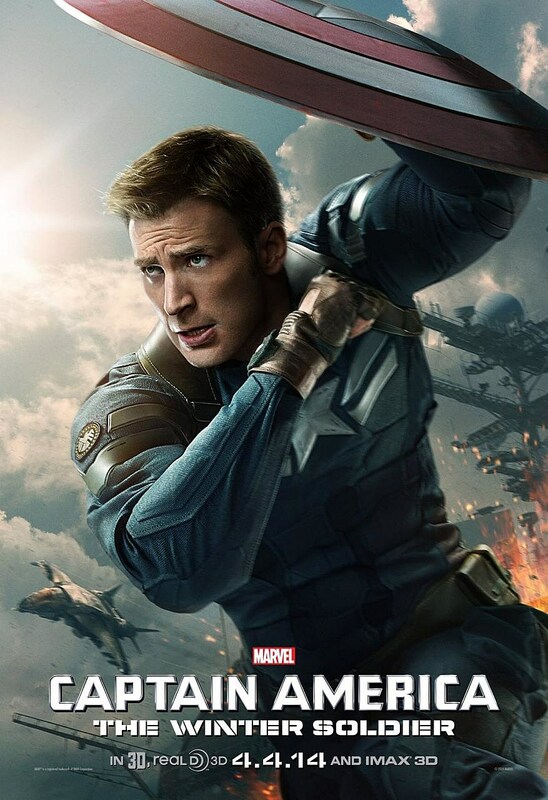 Captain America: The Winter Soldier– three helicarriers, each armed with weapons designed for mass extermination, by the command of the same dudes he beat in the last movie!!! And then in the easter egg scene, we see the same dudes that he’s beaten in both movies… WITH THE ALIEN’S STICK!!! And the guy says “this isn’t the age of heroes… it’s the age of miracles!” OH NO!!! It’s already starting to get ridiculous. I think this is probably tied to my question about the value of comic-films. Once we leave the boundaries of reality and start to find satisfaction in the super-real, I think the long run effect is similar to that of drugs, sin, and adrenaline rushes. It always has to be more, bigger, better. Films like The Secret Life of Walter Mitty and Saving Mr. Banks find their meaning and the emotional impact of the story by taking us on a journey within the reality that God has placed us in and giving us another look at it, taking us a bit deeper into it, getting us a little more excited about it, giving us a greater appreciation for it. But with movies like The Winter Soldier, where the satisfaction seems in some ways to be derived from how unreal and fantastical the story is- if every one has to get more unreal, more far-fetched, even broader in scope- if that is our standard of measure, we will reach a point where the only way a sequel can be better than the prequel is if it is also worse. Because we aren’t connecting with hearts and minds anymore- only bodies. It’s only a physical rush. Kinda like rock music over against classical music. OK, moving on from that, the bad guys are amazingly skilled in the million ways they find to miss the simplest targets. It’s really quite impressive. I couldn’t miss that shot if I tried. If you like superhero movies, action flicks, and cheese, this is about as good as it gets. I enjoyed the film a lot, and look forward to seeing it again, but while it’s one of Marvel’s best efforts it did not transcend the stereotypical limitations of the comic film and give us a story that takes us on a real and deep emotional journey. Lots of fun, lots of flash-bang, a good message, but, unfortunately, not much more than that. This article was originally written as a guest post for friend and fellow composer Bradley Jamrozik of Orchestral Story Studio and has been re-posted here with permission. Filmmakers pay incredible attention to the details, because within the details lie authenticity. The coffee stain on the page, the redness of the sunrise, the almost-imperceptible twitch of the actor’s eye, these things thunder the story of the film with a power that stands in stark contrast to their apparent insignificance. The composer has a crucial role to play in constructing the world of the film, and there is much to be considered when creating a film’s soundscape; just as the details of an actor’s costume are of vast importance to the effective communication of the story, so the choice to use an oboe instead of a flute has huge ramifications on the sonic world of the film. – Who is this story about? This isn’t just a matter of identifying the characters; it is a matter of getting to know them. What kind of people are they? What do they like and dislike? What makes them tick? What are their quirks, flaws, strengths, weaknesses? – What is the point of the story? What does the director want to communicate with this film? What is the God-honoring message that needs to infiltrate the mind of the viewer and effect they way they think? – When does this story take place? Do we want the music to reflect that? – Where does this story take place? Do we want the music to reflect that? – Are there lots of computer-generated images in this story? When we’re building the soundscape, we need to consider what the sightscape is like too. – Is it live-action, or a documentary, or an animation? – What is the director’s vision for the feel of this world? Does he want it to feel nostalgic, or cutting-edge, or informative? Before figuring out how to paint the soundscape of a story’s world, the vision for what that world is, how it works, and what it feels like must be established. So pepper the project with questions. Tear it down to its most intricate, intimate parts, and get to know it. Once you really know the project and are comfortable in the world of the story, you can then begin to ascertain how to communicate that world through music and sound. Any film’s musical soundscape can be broken down into two parts- the music, and the delivery, or sound, of the music. Both elements have huge impact on the final story-world that the music constructs; here, we will look at them separately, beginning with the music. A film composer’s job consists primarily of emotional communication through music, but we must not allow this to be understood in a simplistic way- happy music, sad music, romantic music, exciting music. There is so much more communicated in both the music and the sound that must be considered. Just because music is happy and the scene is happy doesn’t at all mean that the music is correct for that scene! Look at the two pictures above; one from “Ender’s Game,” one from “Pride & Prejudice”. Observe the amazing difference in a relatively similar shot- the protagonist, alone, set against a fitting backdrop for their story. The colors of the battle room are sharp, cold, and electronic; the colors of Lizzie’s world are very different, washed in gold, soaked in soft, daydreamy light. Other differences- costume, the time period of the fence behind Elizabeth and the space station behind Ender, the setting of a romantic, idyllic rural countryside and that of a synthetic, futuristic space-station- these are even more obvious. The same must be true of the way emotions are communicated for these stories. A sad scene from Miss Bennet’s life might warrant plaintive whimpers in the style of a minor movement from a Mozart sonata, but to use that music in a tragic moment in Ender’s saga would be strangely contradictory to the scene- even though it communicates the correct emotion! Thus, Steve Jablonsky’s “Ender’s Game” is, musically, very modern, very minimalistic, made up of fragmented melodies and motifs drowned in atmospheric chord progressions, while Dario Marianelli’s “Pride & Prejudice” has all the depth and delicious complexity of a late 18th-century piano concerto. Even if these scores were turned into a piano reduction, so that the sound was identical, and even if tracks were pulled out from each score which communicated similar emotions, they would be clearly different, because each composer constructed a musical soundscape that fit the world of their film. 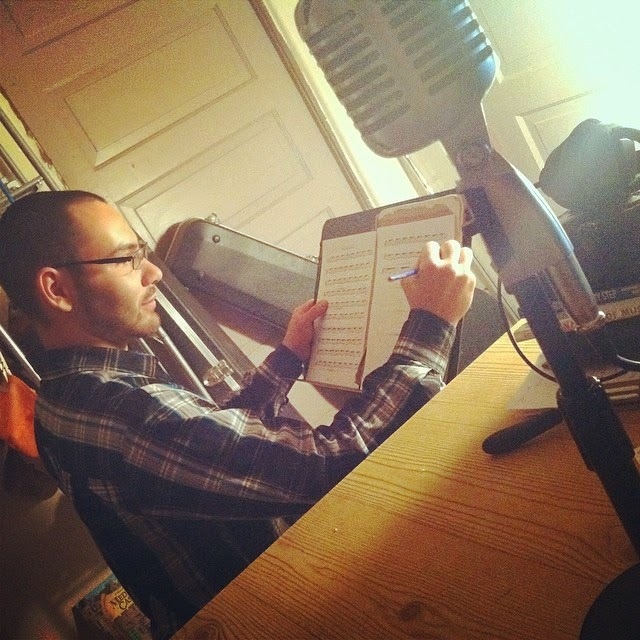 Once a composer has answered the questions he asked of the film at the beginning of the process, he then can prayerfully consider how to use the music to communicate whatever the answers were. Now we turn to practical applications. – That said, I believe that melody is the most important part of music and must always be the primary consideration; this is one of the things that I think much of modern film music (like “Ender’s Game” and many newer Hans Zimmer scores) is lacking. Spending time to develop a good melody- a melody worth telling, worth exploring, worth developing- is very important. Find a melody that communicates the right things for your film; the same rules which apply generally to the score apply specifically to the melody. If melody communicates to the mind, then music devoid of melody is mindless music; it might be worth listening to once or twice, but soon becomes exhausting. With every score I write, I hope to leave the audience with a melody stuck in their head long after the film is over- and to write a melody good enough that they will be happy about that! Now let us consider the orchestration aspects of the soundscape. The notes used in a score communicate powerfully, but the way those notes are delivered also has a lot to say. Let’s look at some other scores to illustrate this point. 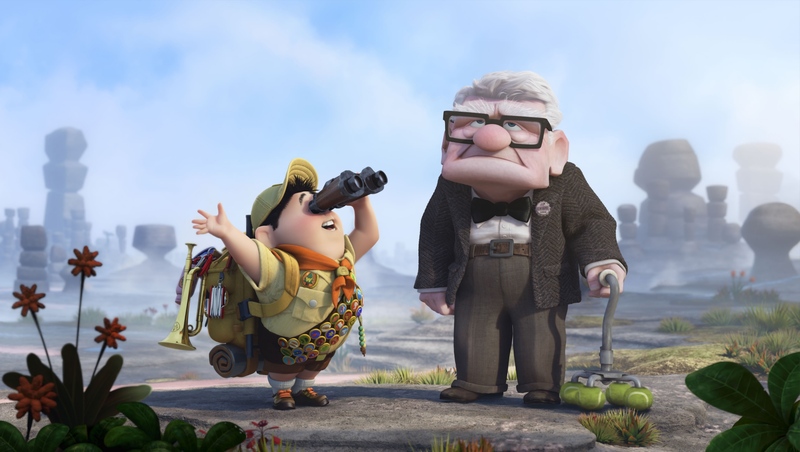 Michael Giacchino’s music for “Up” is a quintessential example of perfect soundscaping. The musical information in the score has the perfect amount of oldness (our hero is, after all, well into his sunset years) blended with the classic sounds of adventure that we would expect from a score like this. A waltzy sound and liberal use of accidentals and jazzy chord progressions combined with soaring melodies and heartbreakingly simple renditions of the main theme all combine to make the notes perfect for the film. But the excellence of this score doesn’t stop there; those notes are delivered in a way that sounds like “Up.” This is the goal of the soundscape-building process- to create a score that sounds like [insert film title here]. So what does “Up” sound like? A bit jazzy, with a heavy flavor of solo instruments, yet certainly not afraid to float into full orchestra when the story demands it. It sounds like something wafting out of a well-worn record player that Carl and Ellie would dance to. 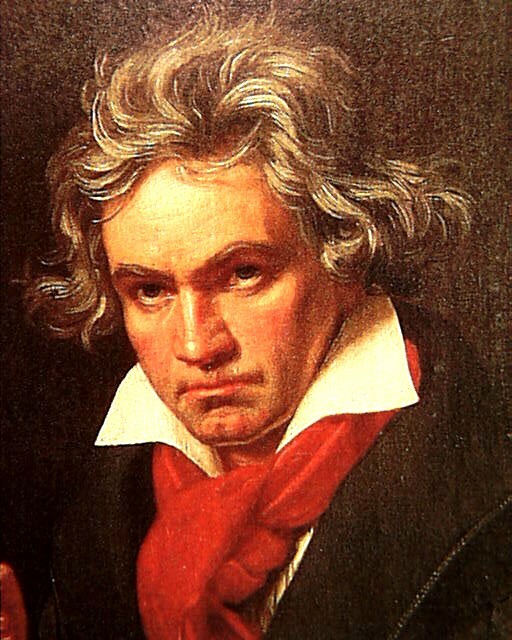 We hear lots of solo violin, muted trumpets, piano, lighthearted orchestral percussion, woodwinds, and other less familiar instruments which I hesitate to identify lest I reveal my own ignorance. We do NOT hear intimidating synthetic soundscapes; the trombone players get to contribute to the action music, but could probably fit in a few good naps during the session. Most of the percussion in this score is either the fun stuff (small ethnic percussion, triangle, shaker, etc.) or tonal percussion; glockenspiel, celeste, marimba- but not snare ensembles, anvils, Mahler hammers, or drum kit grooves. No bagpipes or Lord-of-the-Rings choir here. Giacchino and his orchestrators knew what they wanted “Up” to sound like, and everything from the music to the instrumentation contributed to the consistency of that soundscape. – The instruments of the standard orchestra are, mostly, “safe” instruments; they more or less transcend genres. This is most true with orchestral strings, and almost as true with brass and percussion. The non-reed woodwinds- the flutes and piccolo- have an open, vocal, human sound that is fitting in most contexts and can be used liberally (but don’t get too piercing with that piccolo, please!). The rest of the woodwinds, because of the variety and uniqueness of the colors they offer, shouldn’t be applied with the same orchestrational broad-brush. – In considering the rest of the woodwinds, great care must be exercised in staying consistent with the sound of the score. Reedy-sounding woodwinds generally have a more classical and orchestral sound, and so they are excellent for adding that sound and color to a score in the tradition of John Williams and “grand old Hollywood.” However, they generally do not belong in a bitingly modern film’s soundscape for that same reason. – Also consider- how is this instrument traditionally used, and how could I tweak those conventions to make this instrument fit this soundscape and lend unique colors to the score? Bradley Jamrozik pointed out to me that the poignant, haunting theme that introduces the hero in “The Bourne Identity” is played on a bassoon, an instrument which he plays, and which he said is usually used in the bass registers but which has a beautiful, sonorous, lyrical high voice. That voice John Powell used to great effect, taking an instrument which, if used conventionally, might have sounded odd in an action-thriller score, and transforming it into a unique sonic signature that was the cherry on top of the soundscape of Bourne. So take some time to experiment with the non-traditional possibilities hidden within traditional orchestration. – Drumkits have a much more pop, and, dare I say it, cheaper sound than orchestral percussion. – The piano can be used in about a million different ways and in a million different contexts. I am biased, but I think it belongs in most film scores- if not as a prominent part of the soundscape, simply as another section of the orchestra. – Vocals are powerful; they can also be distracting. 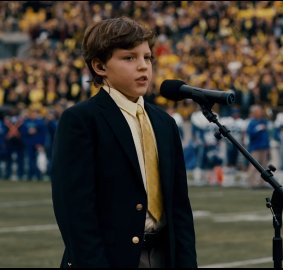 A solo vocalist can add a lot of heart, depth, and humanity to a score (see Hans Zimmer’s “Gladiator”), while a choir generally adds an almost metaphysical grandeur to music, as well as the penultimate “epic music” sound and a general impression of bigness- big scope, big vision, big world, big budget (see John Powell’s “How To Train Your Dragon 2”, John Williams’ “Duel of the Fates”, and Howard Shore’s choral quintessence, “Lord of the Rings”). Prominent vocals singing in English are usually only the realm of songs inserted into the film for montage and/or credits purposes because they would be too distracting and thereby detracting in any other context. – Synthesizers and electronic instruments have such a broad range of sounds that it is hard to pigeon-hole them into any particular style, but they are generally not found in “big Hollywood” scores unless they’re for a very specific purpose (like the electric guitar in John Williams’ “Zam the Assassin and the Chase through Coruscant,” from “Star Wars: Episode II”). Generally, synthesizers and electronic instruments add a clear flavor of modernity to music… for obvious reasons. Side note: few things communicate rebellion like a distorted electric guitar. – Solo instruments or unique instrument palettes are very effective in creating a unique signature for your score. Just be sure that the instrument you chose fits the topic. Solo harmonica may be a great motif in a movie about a hobo or the wild west, but give it some thought before you use it for a story set in Victorian England (some great examples of solo instrument use are the duduk and Spanish guitar in Hans Zimmer’s “Gladiator” and the solo violin in John Williams’ “Schindler’s List”). – Ethnic instruments, especially well-known ones, often deserve a place in films set in exotic locations… and sometimes taste so strongly of their homeland that they can’t transcend that stereotype very well, as in the case of bagpipes or accordions. A lot of times, the instrument doesn’t have to be exactly accurate, so long as the story it tells is; James Horner used an uilleann pipe- traditionally an Irish instrument- as the mainstay of the soundscape narrating the story of Scottish freedom-fighter William Wallace. Not technically accurate, but musically accurate. There’s so much more that could be said on this topic, but hopefully this will get you started thinking about the power of soundscape and the ways we can use soundscape to tell God-honoring stories with excellence. Thanks goes to Bradley Jamrozik for suggesting this post, for honoring me with the opportunity to guest-post on his blog, and for all the things he’s taught me over the course of the last few months. Please comment with your questions! I had the immense pleasure of working with seven other composers on an album of music celebrating the birth of The Lord Jesus Christ in a cinematic style. This album presents a musical take on Christmas not quite like anything you’ve ever heard before- and I think that’s a good thing. You can hear a bit of one of my contributions to this project below, and check out the album on iTunes, find it on Spotify, and look for it in the near future on many other online music stores like AmazonMp3.